Giant Slalom Super stock images by Aurielaki. Skiing G illustrations in EPS10 SVG EPS JPG AI. 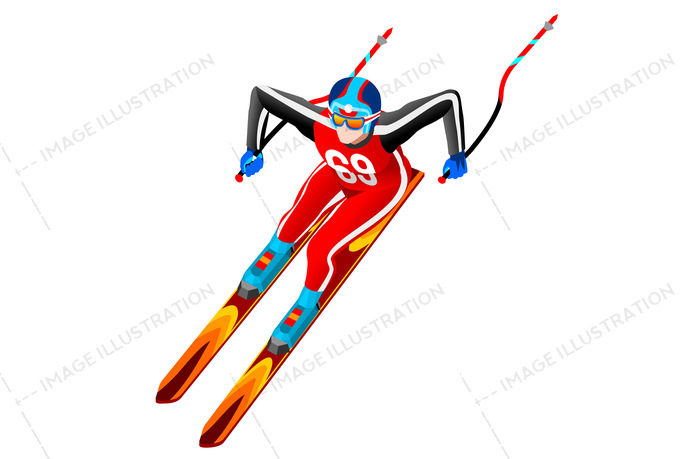 Skiing downhill giant slalom athlete winter sport man vector 3D isometric icon. SKU: Giant-Slalom-Super-G-Skiing-AurielAki. Category: Olympic Spirit Winter Sports. Tags: 2018, 3d, athlete, cartoon, character, clipart, competition, cross-country, design, equipment, european, federation, flat, fun, games, giant, gold, icon, illustration, individual, infographic, international, isolated, isometric, jump, korea, landscape, logo, male, man, medal, olympic spirit, outdoor, people, person, player, pyeongchang, race, ramp, ski, skier slalom, skiing, snow, sport, sportsman, symbol, vector, winner, wins, winter.